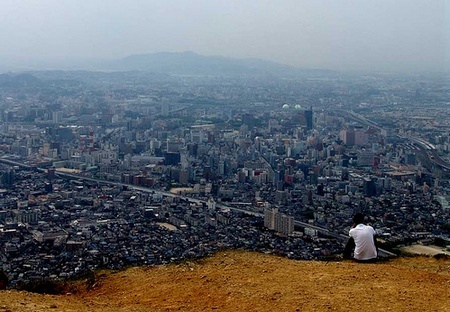 The town of Kokura in Japan twice escaped annihilation from 1945 atomic bombs. It was one of the three target towns selected by the Americans. For the first bombing on August 6, Hiroshima was the primary target with Kokura, which had several big arms factories in western Japan, being second choice and Nagasaki as the third choice. Mission directive was to proceed and Bomb Hiroshima and if it was under cloud cover, then to proceed to Kokura and thereafter to Nagasaki, if Kokura was also under cloud. On 6th August when the B-29 bomber aircraft "Enola Gay" arrived over the primary target - Hiroshima, it had clear visibility. The first atom bomb code-named "Little Boy" was therefore released over the city, resulting in massive destruction of life and property on a scale never witnessed before. 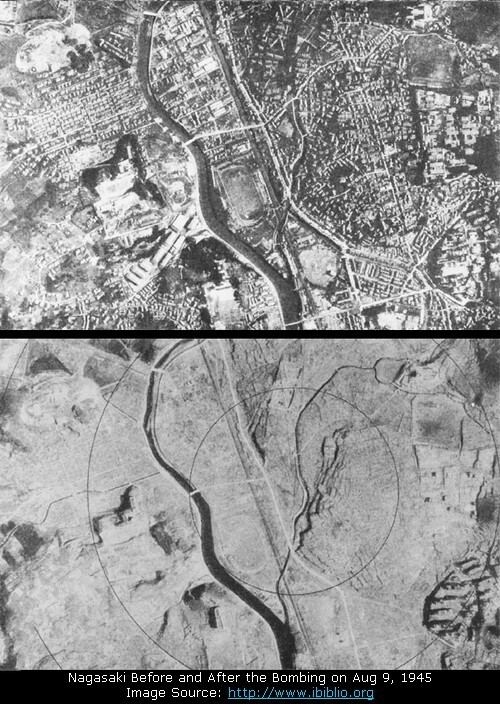 For the second Bombing Kokura was the first choice and Nagasaki was the second choice. 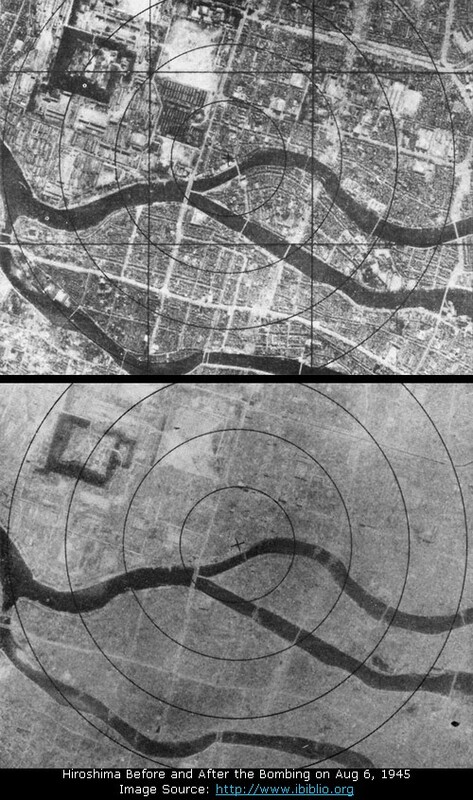 On the morning of August 9, 1945, when the B-29 bomber aircraft "Bockscar" carrying second atom bomb code-named "Fat Man" reached Kokura, a 70% cloud cover plus smoke from earlier conventional bombings of nearby areas had obscured the town. This prevented visual attack as required by orders. After three runs over the city, and with fuel running low, the aircraft headed for their secondary target, Nagasaki, which was also initially under cloud cover but at 11:01, a last minute break in the clouds over Nagasaki allowed Bockscar's bombardier, to visually sight the target and "Fat Man" was dropped over the Nagasaki's industrial valley resulting again in massive damage to life and property. Given below is an aerial view of present day Kokura which was saved by destiny or coincidence - who knows? In any case Japanese now frequently use the term 'Luck of Kokura'.